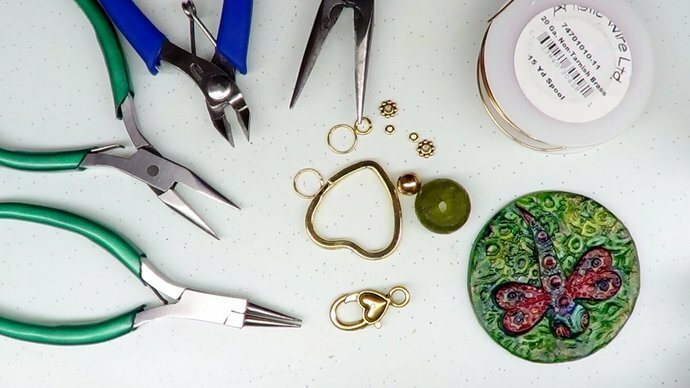 Learn a variety of things in this fun tutorial: sculpting, molding, casting, painting with chalk and alcohol inks, gilding, and assemblage using wire. First sculpt a simple but effective Dragonfly, then create a mold with a background. 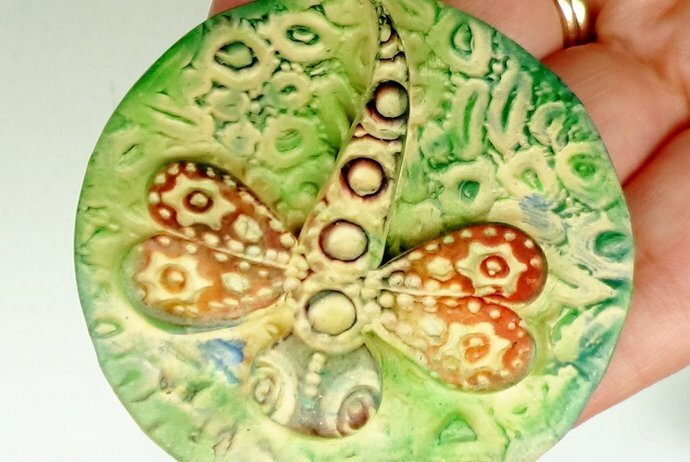 Next, make a cast with polymer clay from the mold and turn the Dragonfly into an artful piece by using a subtle and soft coloring method, or another that is much bolder and vibrant. 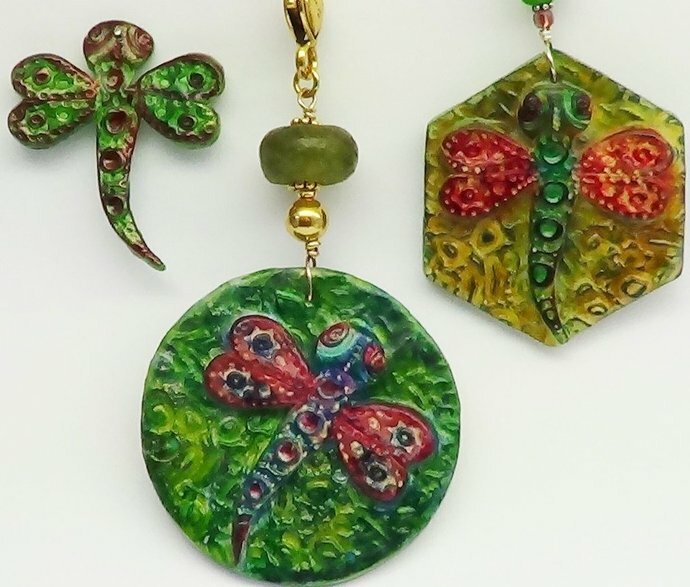 Create variations with different backgrounds or let the dragonfly fly loose without a background. Some paints are optional. 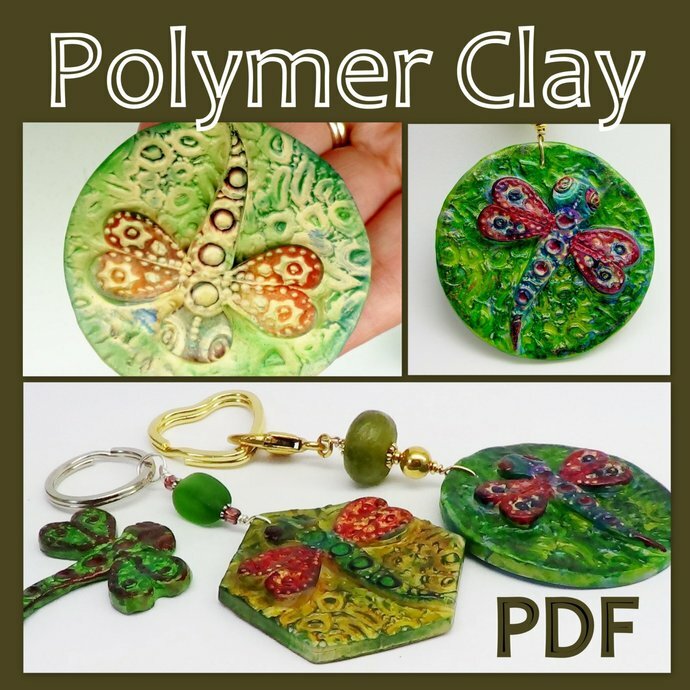 The projects here can be used for key fobs, pendants, pins, ornaments or key chains or tops for boxes. This tutorial consists of 49 photographs, 57 steps, 17 pages with a List of Tools and Materials, in an instant pdf file download. The precise instructions will guide you to create the project outlined.